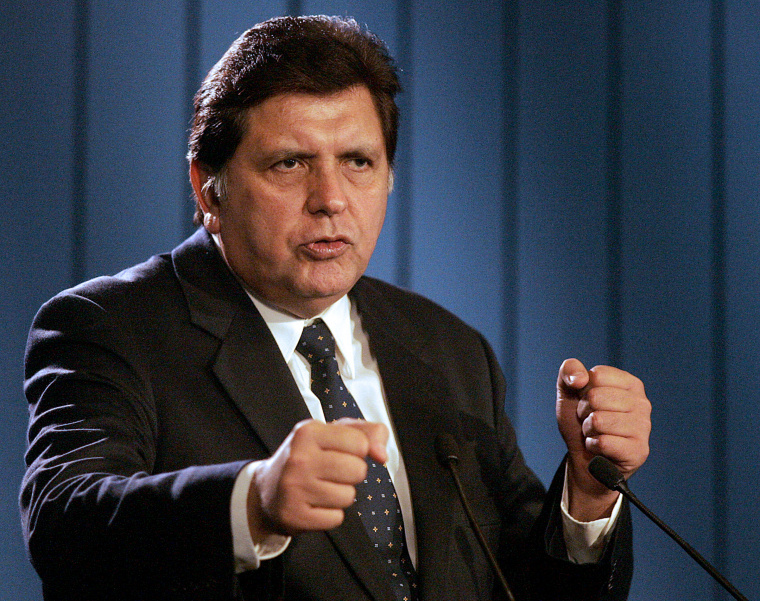 LIMA — Peru's former president Alan Garcia died in a hospital in Lima on Wednesday after shooting himself as police arrived at his house to arrest him in connection with a bribery probe, authorities said Wednesday. Garcia, a skilled orator who had led Peru's once-powerful Apra party for decades, governed as a nationalist from 1985 to 1990 before remaking himself as a free-market proponent and winning another five-year term in 2006. He was under investigation in connection with the Brazilian construction company Odebrecht, which triggered Latin America’s biggest graft scandal when it admitted in 2016 that it used bribes to win lucrative contracts in the region.